There’s a good reason the say ‘never work with children or animals’. 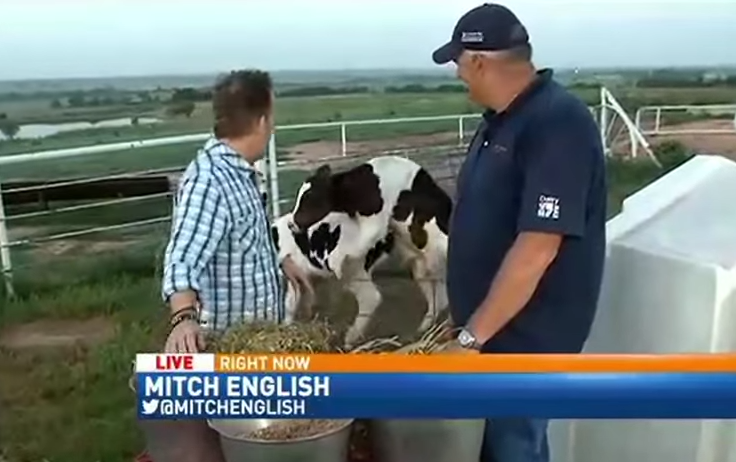 Oklahoma City’s FOX 25 were broadcasting live, and the correspondent was interviewing a dairy farmer when a couple of cows decide to get jiggy. The exhibitionist cattle are spotted by the guys, who try to make light of the situation. Although the choice of words just makes it more funny and awkward. Hey, we gotta make cattle. We gotta make some beef!